Booking holidays is on my list of ‘most stressful things you could do with your weekend’. I know, I know. 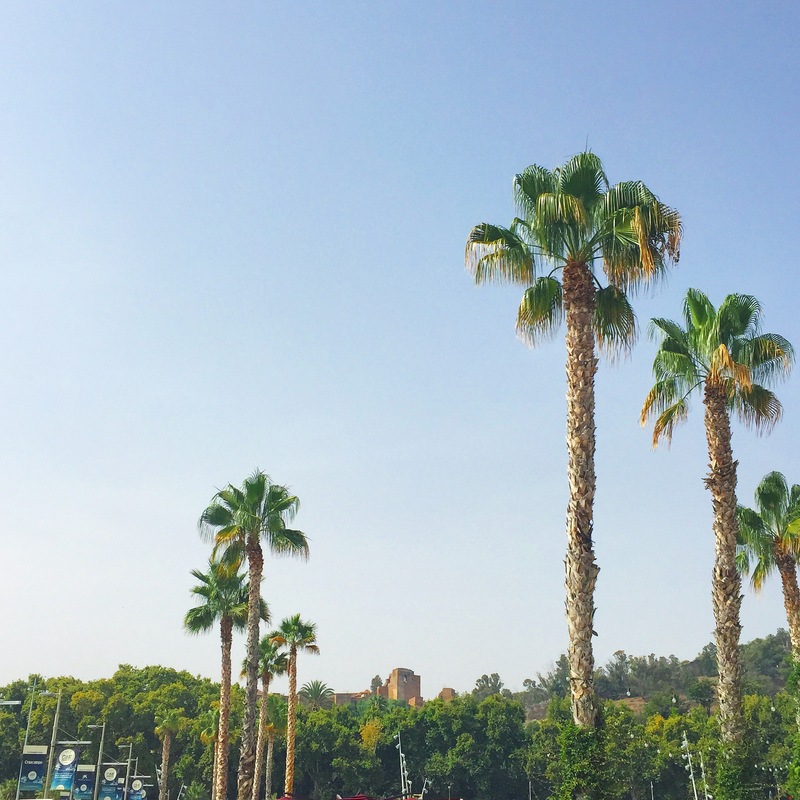 Should you really complain if you get to go on holiday? But it’s just stressful. Pages and pages of websites recommending opposite things, hundreds of airbnbs that sort of look the same, passwords long forgotten. So we booked a flight to Malaga. 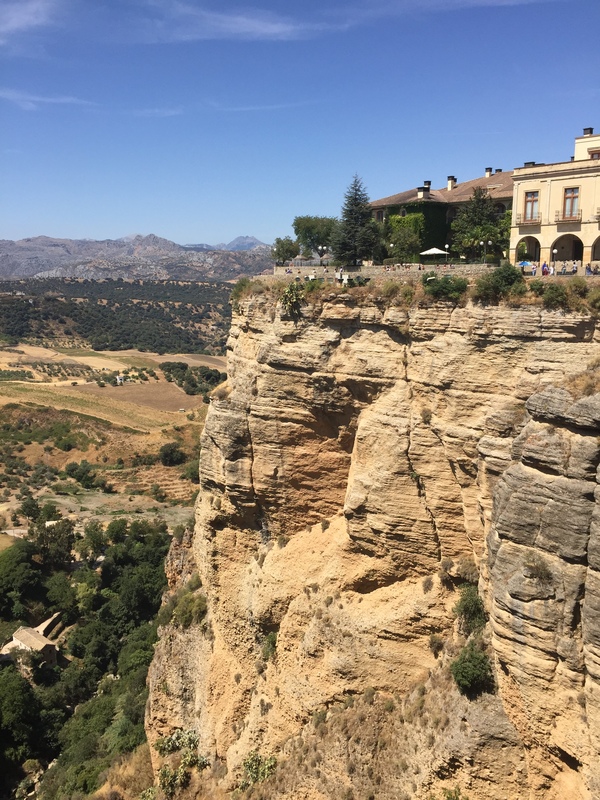 I had always wanted to go to Spain and there was a direct flight from London – good enough for that Sunday spent re-typing my card details and cursing against the BA website and a patchy internet. And I loved it. 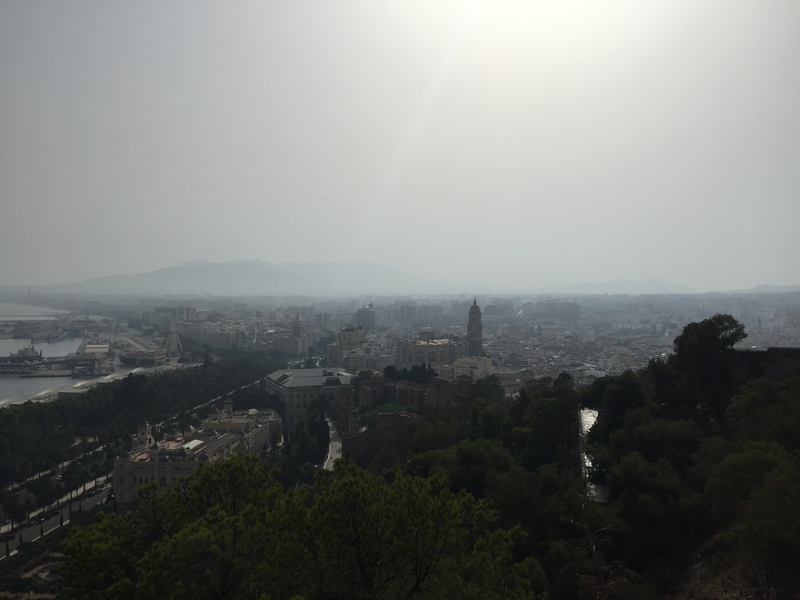 Malaga has a surprisingly pretty city centre, almost entirely pedestrianised, a relaxed pace, pretty little independent boutiquey shops and restaurants with wonky tables spilling onto the street, and all the fried fish. All of it. 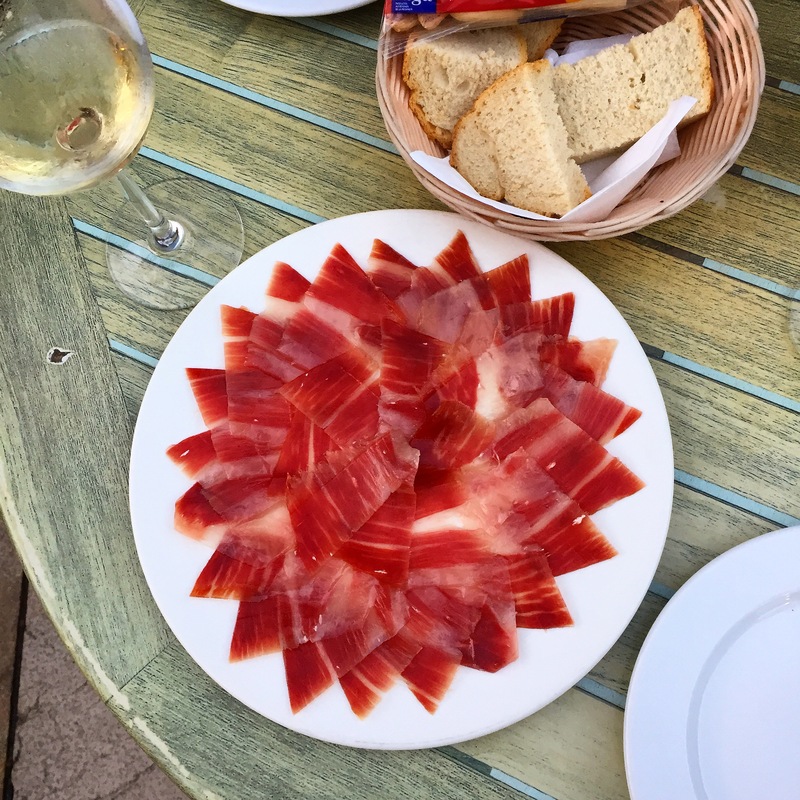 I ate my way through Malaga like a woman on a mission, ordering random dishes from poorly translated menus (luckily I’m fluent in pretend Spanish), dazed and confused by the difference between boquerones and anchoas, enjoying the smell of salt and sun and gardenias, and developing quite the taste for sherry. Oops. A rustic marisqueria, with Pepsi plastic tables and huge pictures of freshly caught prawns adorning the orange walls (yeah), this place had some of the best fried fish I had ever had. Nothing like the calamari you’re probably used to, rubbery and greasy; spanking fresh seafood with an airy batter which gave way to soft, buttery fresh fish. 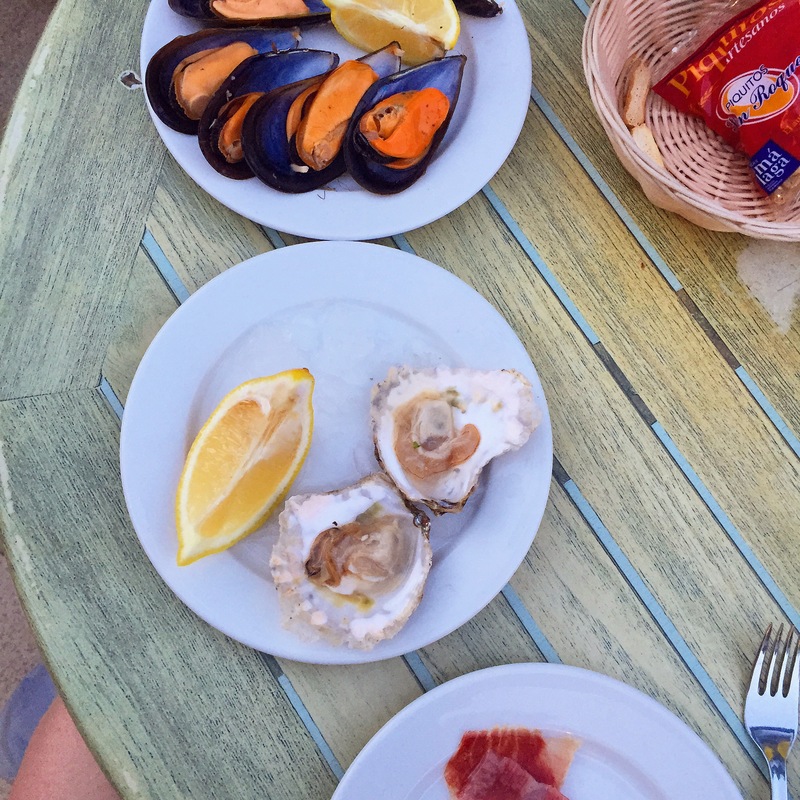 We especially loved the boquerones (I think they are sardines. I think.) 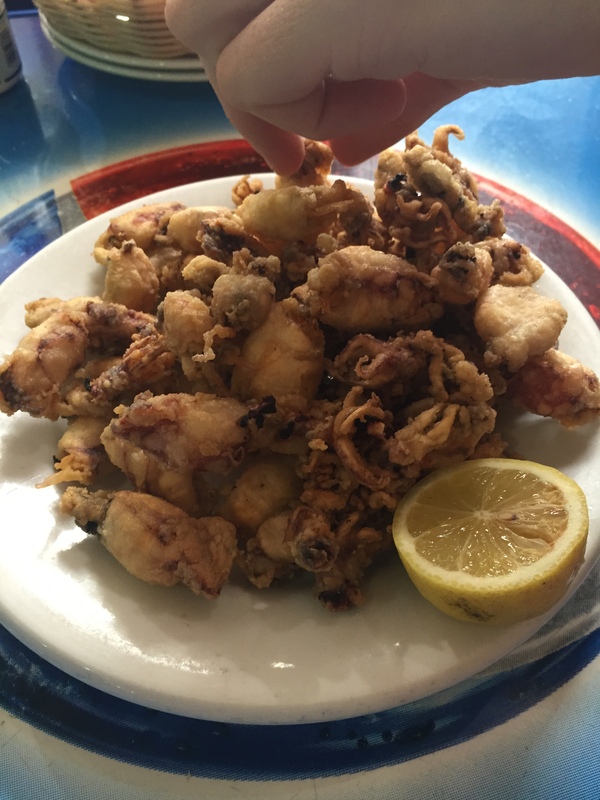 and the small octopus, so perfectly crispy, salty and moreish, which will leave you sticky-fingered and very happy. 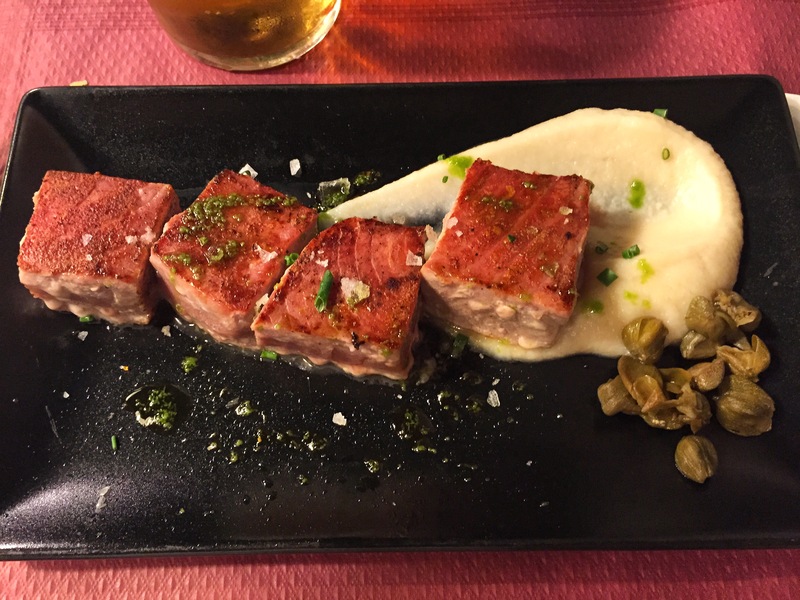 A Malaga institution, the restaurants has a few locations, but my favourite was the one on Calle Granada. Wooden barrels, corny pictures of celebrities signing said barrels, beautiful posters from the 30’s advertising fortified wine, and lovely, affordable food. 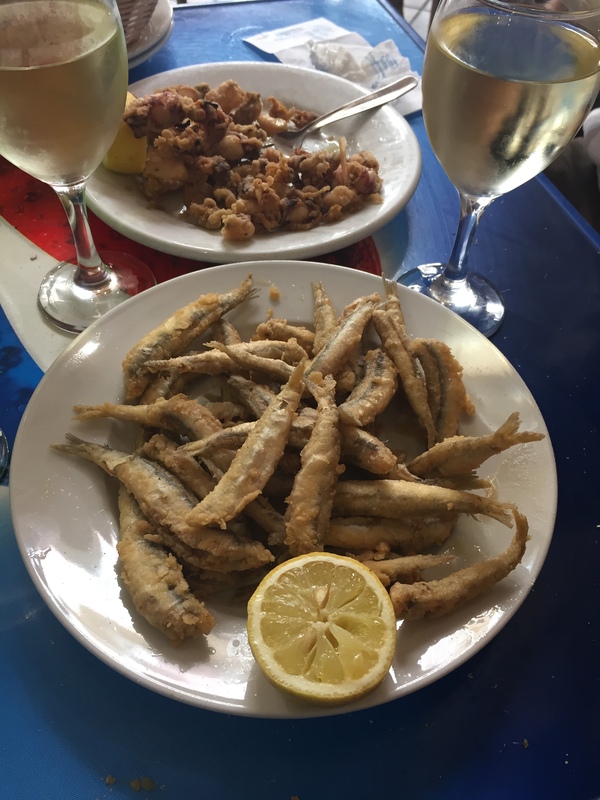 The lemon boquerones, deboned and marinated in lemon before being fried until golden, had a subtle tartness which lifted the whole dish- so simple, so moreish. On a number of visits to El Pimpi, we shared a plate of delicious, melt-in-your-mouth jamon iberico, sturdy cheeses, marbled hams, mineral fresh oysters, reminiscent of sea water, juicy mussels with a vinegar kick, and a somewhat surprising dessert of orange ice cream with olive oil and vinegar, which stood out in a menu of classics, but had a certain depth that I found fascinating. The wine is solid, and cheap, and the small glasses of fortified wine at the end of the meal make for the perfect nightcap. Once a small fishing village, Pedregalejo is now, as well as a challenge to pronounce for most of us, a Malaga suburb. It has nice beaches, little bays with clear water and a view over villa-encrusted mountains. Its 60’s buildings reminded me of seaside cities around Rome (so not quite the Caribbeans). But once again, I loved it. 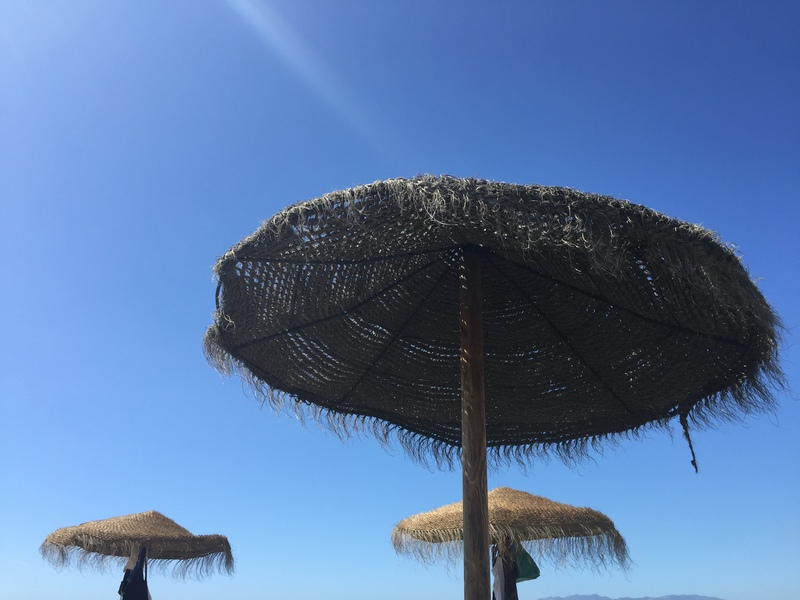 I loved being in the water, the sea and its salty smell, its surface silky and glistening, the sky never-ending and unspoilt with no clouds to be seen, the dark vulcanic sand burning the soles of your feet. I also loved the beachside bars and restaurants, which are famous for their espeto de sardinas, sardines grilled on a stick, cooked in boats on the sand, just opposite the bars and restaurants, and served with simple salads and garlicky tomatoes, their flavour sweet and intense, as is often the case with fruits and vegetables blessed by the relentless Spanish sunshine. 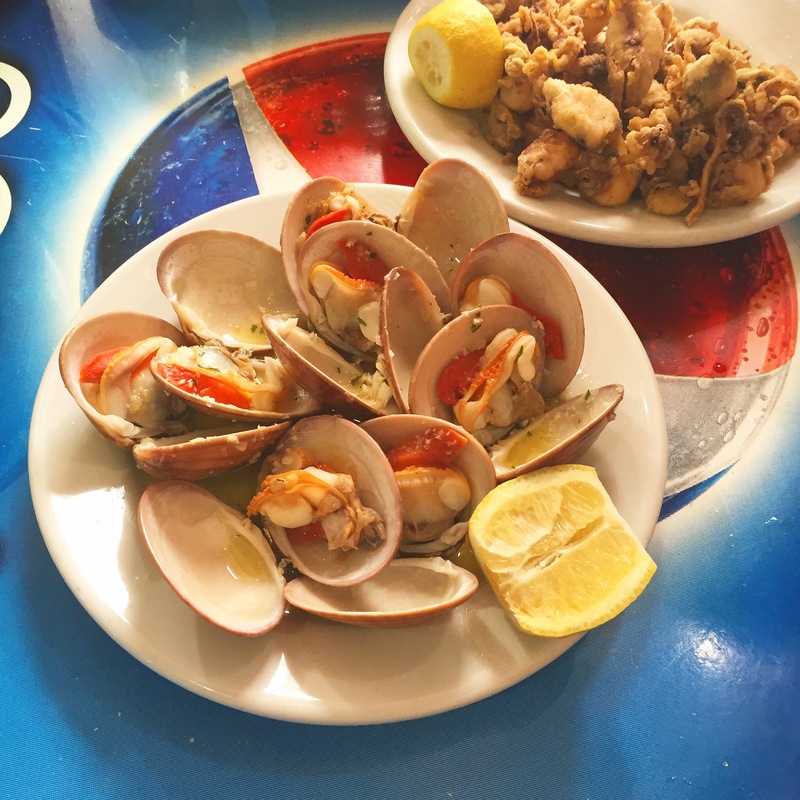 The seafood is generally delicious – and affordable. Also, omega 3. Recommended in this Guardian article, this tiny deli with a few tables and barrels-turned-into-tables in the back is probably one of my favourite places to get tipsy in Malaga. It’s genuinely tiny, and you may have to stand, but there’s something so homely about it, an old man doing the crossword on his own with a glass of red, a group of lads with more empty beer bottles that I’d ever seen, a group of middle aged friends munching on ham and crackers.. The owner, a good-natured smile, an assertive spring in his step, asked us what we wanted. We said white wine, he didn’t ask any further. He came back and filled our glasses with an obscure (never got to see the name) and crisp white, and when I asked for something to eat, again he simply brought some thinly-sliced jamon and pink, marbled salami, followed by some bits of mature, robust cheese when we mentioned we were still hungry, on our third glass. Later on, he kept bringing little bites of free things; slices of loin, buttery and smoky; simple tartines with white cheese and aggressively salty anchovies, silky foie gras and caviar on white bread. There was a simplicity to it all, and as we stumbled out all tipsy and happy and grateful for that last free glass, I felt that homely feeling you sometimes get by being fed. 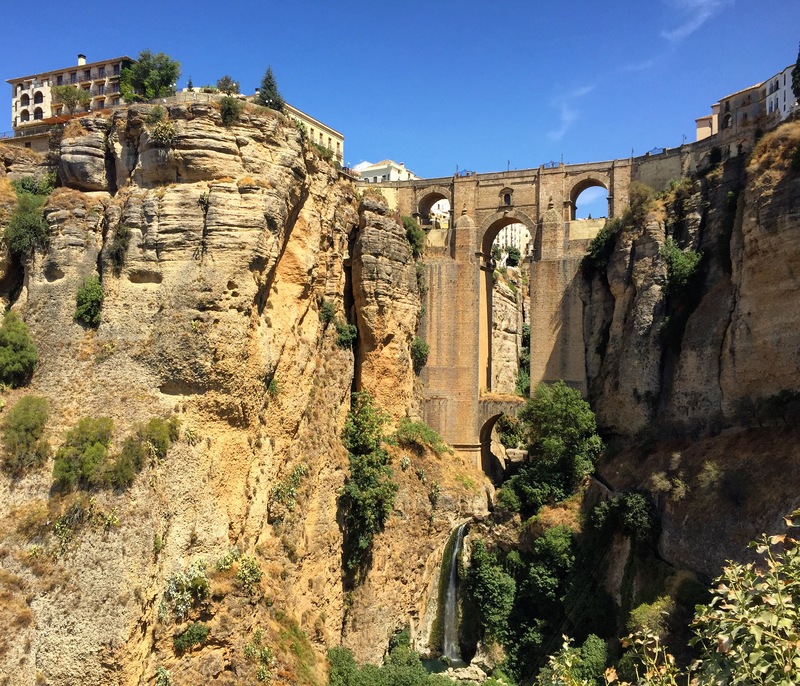 Not technically Malaga, Ronda is only (!) a pain-stakingly slow two-hour train journey away. 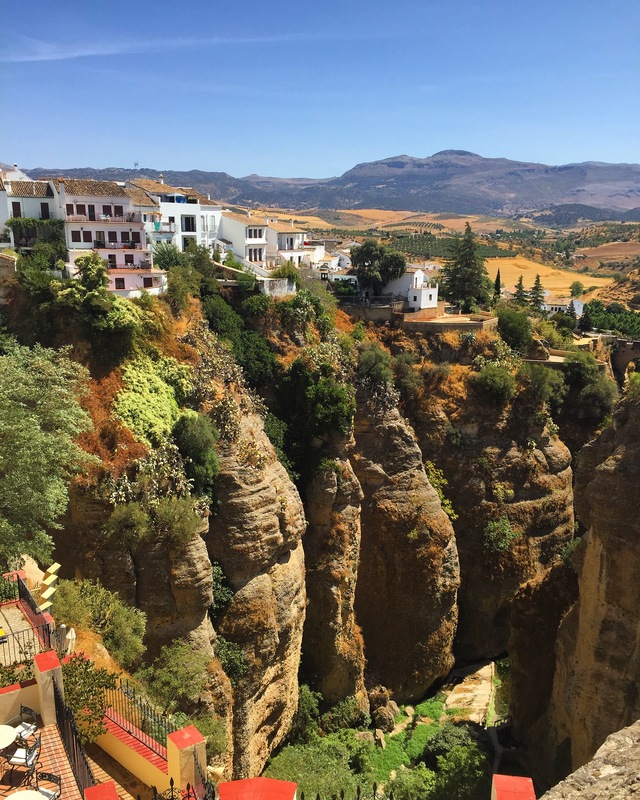 A white washed town with a panorama so dramatic and romantic it just felt like we were in a different world, an enormous bridge built over a gorge, the stark profile of the mountains and the softer, greener lines of never-ending valleys. Bar Mestro is quite a historic little tapas place (Hemingway used to come here) even though it just looks like any other tourist-filled tapas bar. 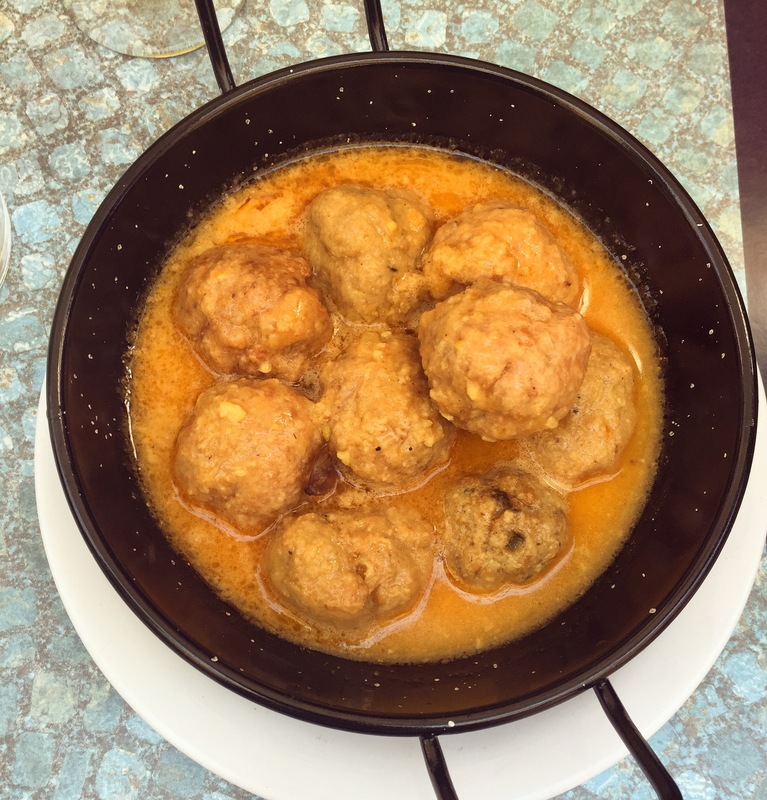 I was blown away by the albondigas, little balls of creaminess and savouriness in an indulgent sauce to be mopped up with bread, and feasted on oozy, cheesy croquetas, a crisp shell which gave way to gooey melted cheese. The most restaurant-y place we went to (but they also have a tapas bar), this place still managed to retain that laid-back, casual atmosphere while serving some of the best and least pretentious food I have ever had. 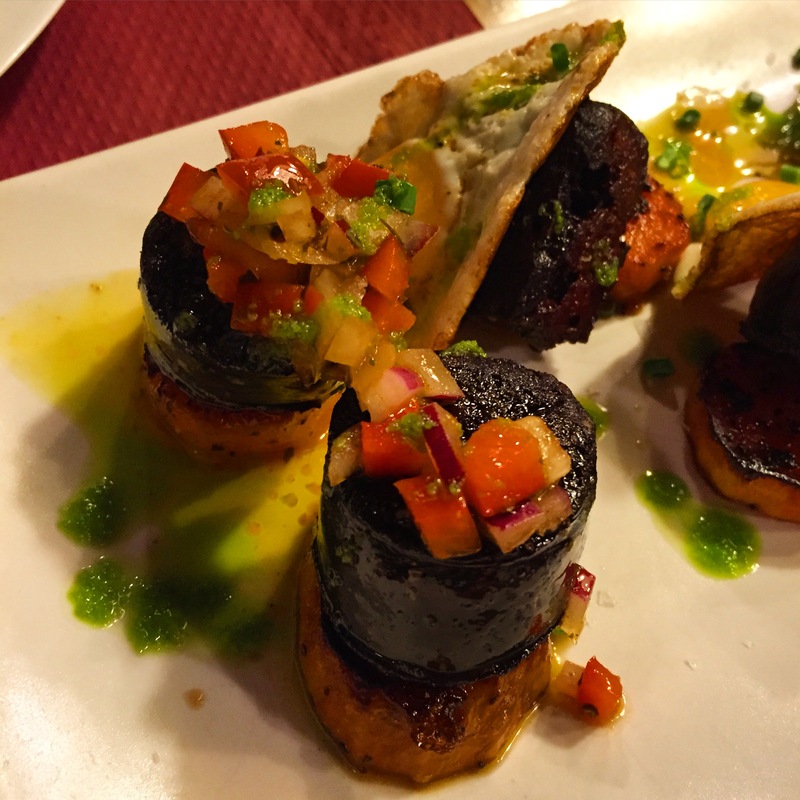 The starter of blood sausage was probably the best thing we tried. I know blood sausage sounds scary, but these were just bites of porky, savoury silkiness, beautifully tender, served on sweet potato with fried quail eggs for extra yolk indulgence and a bright, tart tomato salsa on top. I also immensely enjoyed the monkfish, wrapped in aubergine and served with a pumpkin mousse, and the red tuna, cooked to absolute perfection, soft and melt in your mouth without being too meaty. Previous Post Kiraku, Ealing: a review and a love story. Sounds lovely all the fish restaurants and different specialities that they have! 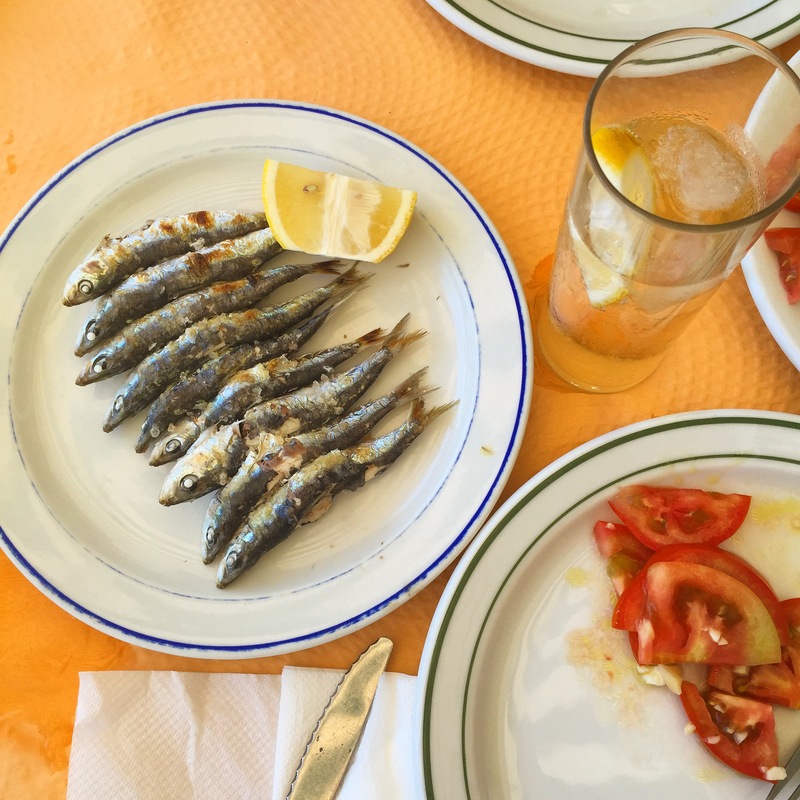 Your Spanish is wrong though- BOQUERONES means ANCHOVIES in Spanish! Thank you! Still very confused between anchoas and boquerones though, are they the same thing? They’re the same things.. 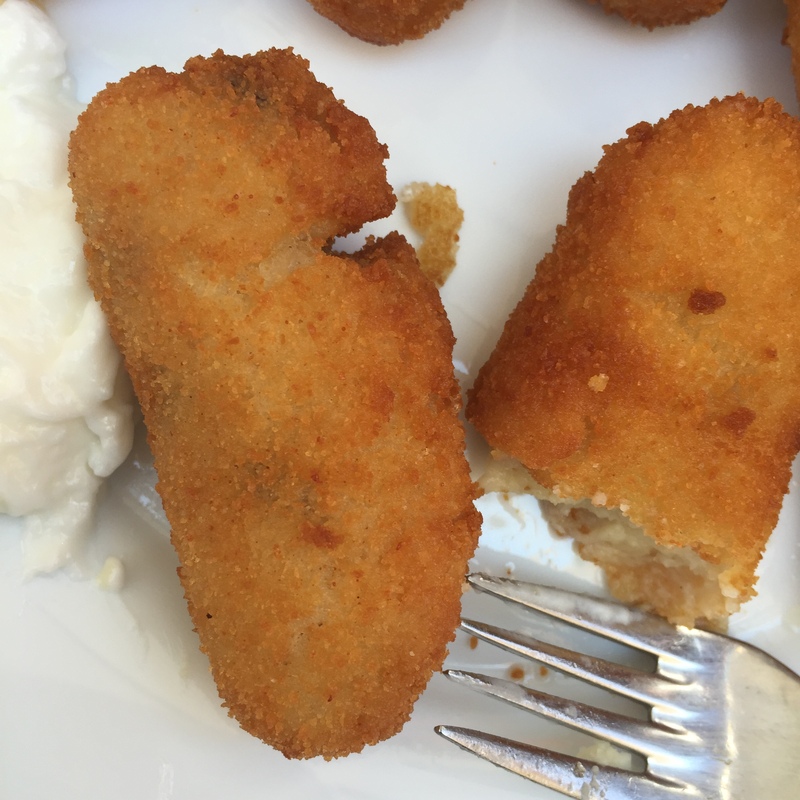 Either brined and in oil, or deep fried in batter! You must have eaten escabeche.. How did you find that?